Why will be temporarily closed the Lost City in September? As is customary every year, the temporary closure of Ciudad Perdida for the month of September was made official. The downside was that several of our tourists did not know that this happen every year and much less knew “what they could do then”. One day while I was taking my break, I saw several travelers in the agency who were still asking about the tour to Lost City and maybe they didn’t understand why it would be closed in september, so I thought it would be a good idea to tell you the reason why our “Lost City” will be lose during that month of their sight and if it likes you, I could tell you in the next post what I recommend you to do while they wait for your return. In the basin of the Buritaca river there are two cultures the Kogui and the Arsarios also known as Wiwas. Every year they meet in Mutanyi village or in the Lost City together with their wives and children to do a “spiritual cleansing” of the territory. The curious thing is that when they do this kind of sacred ritual no one, absolutely no one who is not from their community can enter, because if they do, the spiritual connection would be interrupted and the cleaning would be damaged. You’re maybe wondering how these communities can establish that strange connection with nature, the answer is simple in these indigenous tribes there are some spiritual leaders, known as the highest expression of wisdom among their own, called “Mamos”, it is often believed that these people possess supernatural knowledge and wisdom, which it has been inherited by Seynekun “Mother Earth “and other gods. Taking care for these ancient and vital places is a very important task for each one of us! That is why our older brothers and the Colombian Institute of Anthropology and History (ICANH), have decided to let The Lost City rest for this month. In this time the “Mamos” will be carrying out spiritual sanitations — ritual where they return to earth what has been taken- for the recovery and environmental and cultural sanitation of the territory. Don’t worry; this month will happen so fast that you won’t notice it! 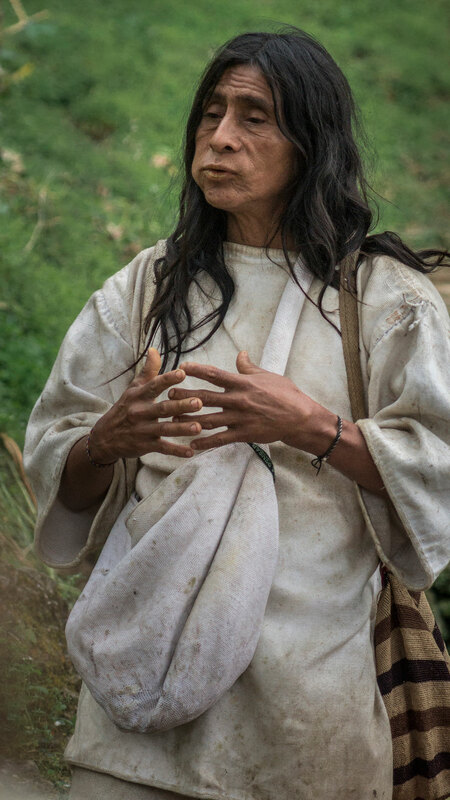 The Sierra Nevada de Santa Marta is one of our most sacred places and it is very important for us that Seynekun not be mistreated and that she rest from time to time. Next post5 things you shouldn’t forget when you visit the Tayrona Park!